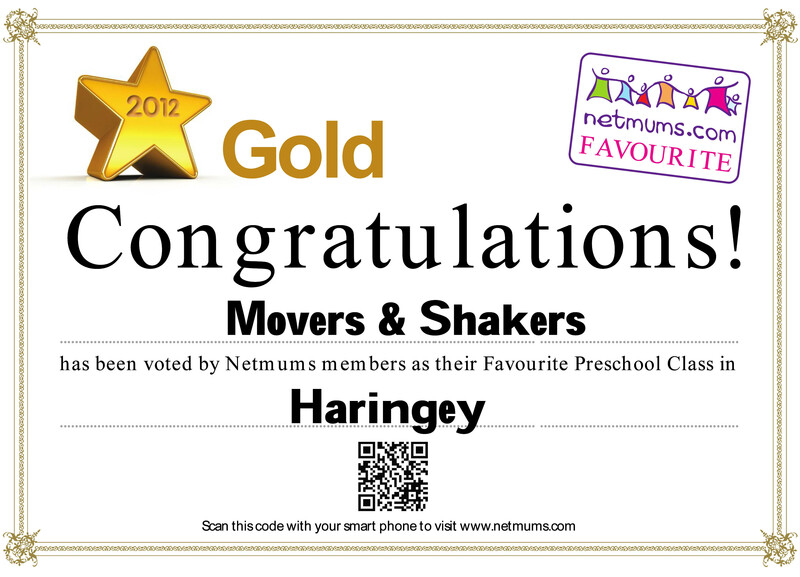 Movers and Shakers is a Netmums Winner! Movers and Shakers beat off competition from dozens of other classes in the area to take the top prize in the national awards from the UK’s biggest parenting site, Netmums.com. 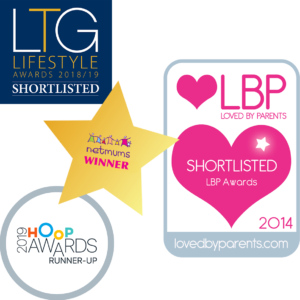 Over a million Netmums users were able to vote for the awards, making them the UK’s biggest parenting prize. We are delighted that Haringey’s Mums, Dads and childminders have judged our classes the best in Haringey and would like to express our heartfelt gratitude to everyone who voted for us. The Netmums award means a great deal, as it’s voted for by parents. It’s great to know that you and your babies and toddlers enjoy attending our wonderful sessions as much as we enjoy providing them. Founded in 2000, Netmums is the UK’s biggest parenting website. With over 1.2 million members and five million visits every month, it is the UK’s busiest social networking and information site for parents. To find out whether Movers and Shakers sessions take place near you and to book a place, have a look at our find a class page. This entry was posted in Awards on October 16, 2013 by steven maddocks. Did you know that Movers and Shakers classes are not only fun but also promote your child's development in line with national standards set out by the Department for Education? By clicking here you can read more about how Movers and Shakers meets the needs of the EYFS (Early Years and Foundation Stage) framework. Why Buy a Movers and Shakers Franchise? ©2013 Movers and Shakers. Head Office: 5 Bridge Road, London, N22 7SN. Telephone 07817 420392.